5th Floor, NO.641, Fu Shun Road, Shi-Tuen District , Taichung City, Taiwan, R.O.C. Leading with the Quality, Performance and Cost ! 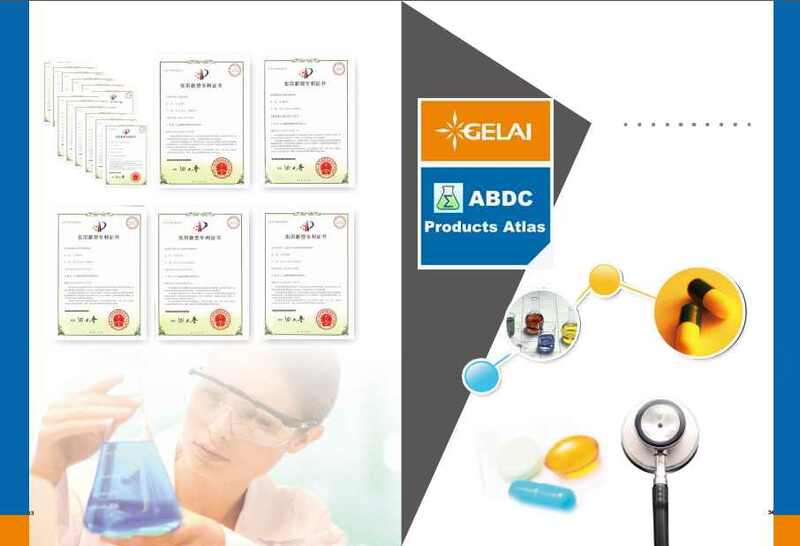 We(Gelai_ABDC)are a global technology and marketing team, with continuous efforts for more than 20 years, cooperating seamlessly with all users in research institutions, industry, universities, for their practical demands, and successfully developed DAC M/HPLC systems with independent intellectual properties. 1. More than>400 large systems installed, with abundant high throughput, high efficiency large-scale DAC-HPLC experiences for more than 13 years. 2. Dedicated optimized Dynamic Axial Compression Column(DAC Column) design, approaching high resolution from the analytical HPLC column. 3. Middle/High pressure Gradient Pump(M/HPLC Pumps) capability, with precision screw module that promises very stable & precise mobile phase output. 4. 1/2 to 2/3 cost, very helpful to optimized budgets controls, especially for cost management for acquiring more equipment. 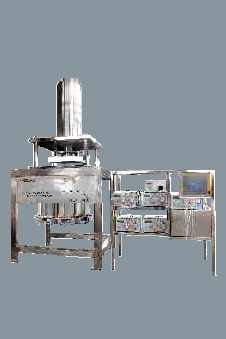 with independent intellectual property rights and providing a complete set of Preparative Chromatogram Systems from lab test to large industrial production scales. With international advanced technologies and leading designs, our products keep at advanced performances among similar products. 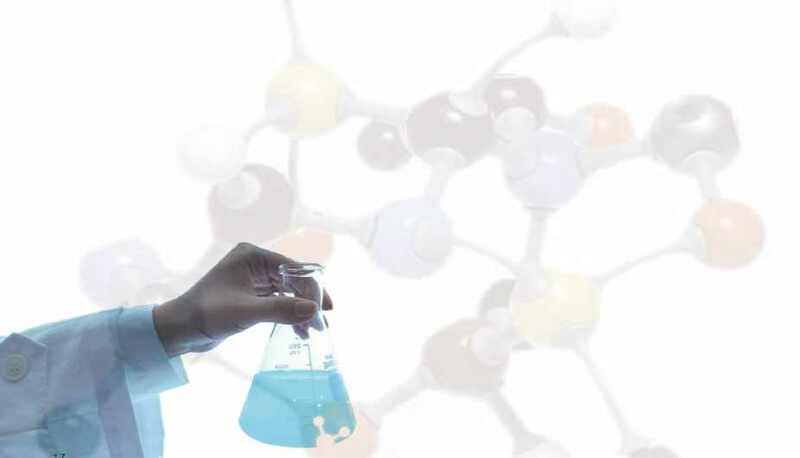 Our products also have already been awarded honor and utility model patents and are widely applied in separation and purification of natural and plant product, synthetic medicine, protein and polypeptide, etc. We combine the capabilities to keep key technology innovations and to keep our users with cost advantage as much as possible, while persist our product with highest qualities, services, including the compliances of the ISO9001:2000 quality assurance system to take strict testing methods, that guarantee our qualified products with full in line with the standards such as GMP and FDA. By regular technology trainings, we provide our clients with integrated reliable products and before-sales and after-sales services, ranging from technical consultation, system evaluation, sample testing and separation method development, system installation, onsite operation training, system IQ/OQ validation for certification, process amplification, and to extended application developments. As a professional manufacturer of Preparative Chromatogram Systems, with the experiences in equipment manufacturing and client support, the Gelai_ABDC provides guarantees to clients in terms of increasing productivities, minimized equipment repair, and quickening investment returns. We are making prominent global contributions with our constantly providing of excellent preparative chromatogram system, fluid transmission equipment and service. The Semi-prep / preparative liquid chromatography system may be equipped with 50, 100, or 250ml/min maximum flow rates pump head, with mixer, UV detector, online filters, injection valve or sample injection pump, chromatographic work station software, and may be configured with 25.4mm, 41.4mm, 50mm, 77mm, 80mm, 100mm ID pre-packed columns. The semi-preparative / preparative liquid chromatography systems can be used in normal phase, reverse phase, Ion exchange chromatography and other modes by the selections of different types of packing materials, and are suitable for small-scale purification and separation for milligram to gram sample sizes in the research institutions and laboratories. They are common for purifications of small amount of standards and standard of impurities. 1. Using the latest 32-bit RISC central ultra- high speed computing and 32 bit DSP stepping drive control processors for core control. 2. It is based on all digital frequency-based systems, advanced motor drive system and friendly user display interface, making operation and control of the device more convenient. 3. 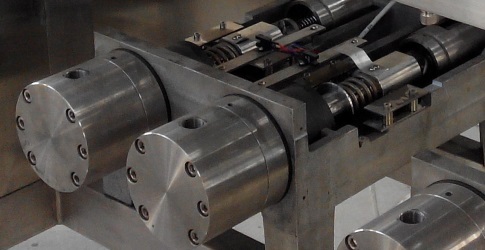 Dual screw dual piston control, with the pump can be configured to isocratic, gradient mode. 4. High-precision screw drive model with high flow rate precision, good system reproducibility and very low flow pulse features. 5. Advanced pump head and check valve design ideas, a unique blend of the world's most advanced experiences, allowing our users to guarantee the flow rate accuracy and reproducibility specifications in various conditions. 6. When working on the preparative high-pressure gradient mode, the PC/Master module can control more than one pumps of the same type, and can monitor gradient curve gradient method through the PC/Master for verifications. 7. A variety of communication modes, standard RS232, RS485, Ethernet interface, are selectable for the preparative high-pressure pump control, which has greater advantages for high purity sample preparation of requirements. Stream infusion type Dual piston elution. 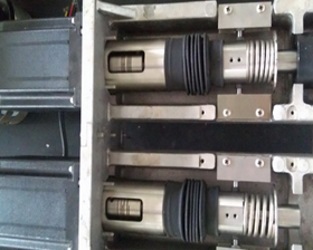 Transmission type Precision dual-actuators precision ball screw drive that is produced by the HIWIN (Taiwan) with high precision, small pulses, good performance. Our pressure can be displayed in bar that may sense to our very small pressure fluctuations within 2bar. 3. Programming control to wavelength. 6. Light path is designed of double light beam so as to further minimize drifting impact from the surrounding change. 7. Optical path can be adjusted through replacing flow cell and changing corresponding system parameters, so it can be transferred from analytical style to semi preparative and even to big preparative style easily. 8. The simulative analog output port is equipped. 9. It can be controlled through RS-232 interface by chromatographic work station. 1. Global leading design and approach for the embedded manual pressing device that performs advanced axial compression functionality. 2. The Surface Finish of our column wall is better than ≥ ▽ 12 (ie, Ra ≤ 0.25μm) that ensuring very good column concentricity(0.2μm), and is better than similar global products. We continuously and routinely cooperate with domestic and global institutions for advanced technologies, such as the concentricity and precision polishing technologies for column inner wall from key military units. These efforts ensures out excellent product stability and performance. 3. Maintains sufficient high internal pressure that prevent the sharp decline in column efficiency caused by the collapsing of column bed. In long term usages if the column bed have loosed and collapsed, the original column pressure and column efficiency can be restored without any tools by just manually and gently twist on the top pressing device. 4. The column efficiency is high enough to makes it easy to achieve linear amplification from analytical to preparation scales. 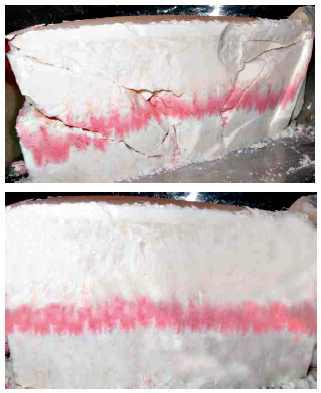 The unique column-end distribution piece design, have provided more uniform chromatographic process for samples, with more symmetrical peak shapes. 5. With removable and both normal and reverse directions applicable feasibilities that make user re-filling very easy. The durable life time is much longer than other prepared column that are implemented with fixed flange sealing mounting. NOTE: We can also, according to customer requirements, manufacture customized or specialized columns that are packed with user specified packings from various sources as Kromasil, HyperSil, Fuji, etc. 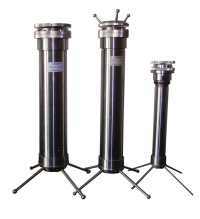 We also provide re-packing and other services for preparative columns provided from customers. 1. Automatic fraction collector has an all-digital design, whose signal is processed by PLC and then the results will reach the RS232/485 interface. 2. The equipment has programming control, combining with chromatograph can finish the collection easily. 3. The change of every peak is monitored with controlled collections by chromatographic work station. 4. Both Valve-Switching and X-Y Movement types are available. 4. One collection position is open all the time for and the others can be switched freely. 5. Buttons on the front panel are can also be easily manual operated for peak collections. Fraction Modes Manual or programmed fraction collection by peak slope, level, and time bands. Control PLC programmable control protocol. Chromatographic work station, matched with chromatograph, is the computer system that can process chromatograph signal to be data. It has overall professional functions, and when some special processing effect is needed, there are still some simple and convenient adjustment methods. Meanwhile, this software pursues succinct and compact interface layout, and offers some functions like federated calculation, print by batch, result summarizing, coherent operation, automatic save, and spectrogram management to enhance daily analytical efficiency. The above aspects mentioned make this software rich in function and convenient in operation. Another distinguished characteristic of this software is that the close combination with Microsoft office, like how to create analytical report in WORD, quantitative result (or collection of several times’ quantitative results) which can be delivered to EXCEL through clipping board, and analytical records which can be saved in ACCESS database directly, etc. Based on pilot scales, the system is equipped with suitable module, including GL3000-500ml, GL3000-1L, and GL3000-2L pumps, matched UV detector, mixer, and line filters. The ID100mm, ID150mm, and ID200mmDAC (Dynamic axial compression column) systems are recommended respectively. The chromatography workstation is built-in. The Autosampler, automatic Fraction collector, pumps, system framework and embedded Industrial PC, etc. could be optionally added into integrated configurations. Suitable for normal phase, reverse phase, ion-exchange In other various chromatographic mode, suitable separation of products from gram to hundreds of grams. . The advanced DAC(Dynamic axial compression column) have its own functions, as self-packing, column pressure maintain, and self-release-packing. The DAC packed column bed fully meets the continuity, uniformity, stability, and tightness requirements. The mechanism of DAC column is through the up and down movement of the piston to pack, maintain column pressure and release packing. The piston surrounding is equipped with a specially designed seal rings that allow the piston to freely slide up and down, while maintaining high sealing pressure . Piston motion and pressure is maintained by the uniform and stable hydraulic pressure. 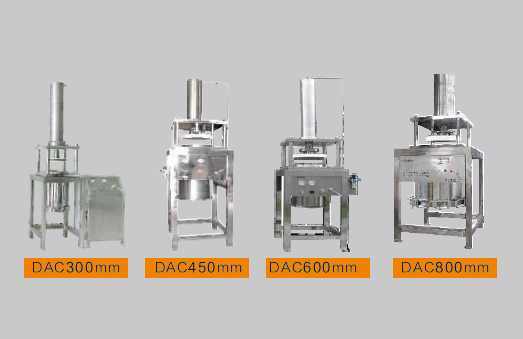 The separation effects of DAC columns with various diameters approach or even equivalent to the analytical column. 1 Adopt advanced structure design, flexible and convenient operation, small volume and good appearance. 2 The packing material filling process is easy to learn, the packing time is short, with low supported compressed air requirement, that just 6kg air pressure is sufficient for up to 90 kg packing pressure within the column. The column performance is nearly close to that of analytical column. 3 DAC tech can pressurize the chromatographic column bed constantly, and effectively avoid the collapse of column head and loose column bed. 4 Pressure endurance, Adhesiveness: the inner surface finish of ≥ ▽ 12, namely, the surface roughness ≤0.25μm; concentricity between column head and cylinder reaches 0.2um, column head sealing is made of imported oblique seals spring seals, that make the column with high pressure endurance to 6000psi without leakage and 50 times of refilling without wear. 6 Long service time. 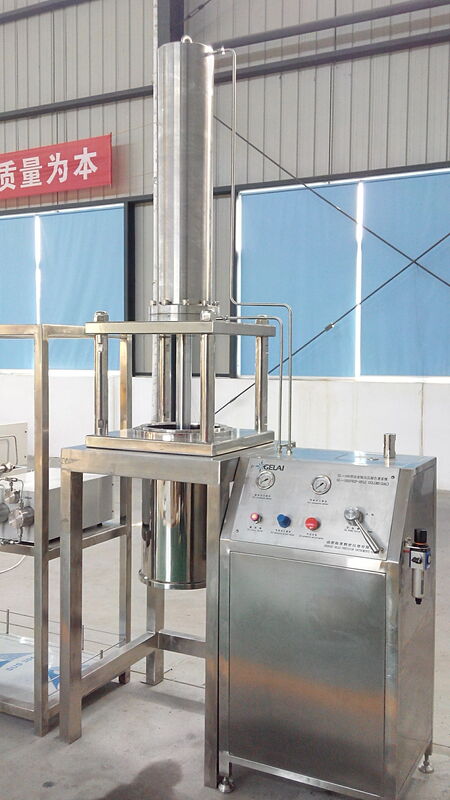 Once chromatographic column is polluted, to discharg packing and then re-packing is very easy and convenient. 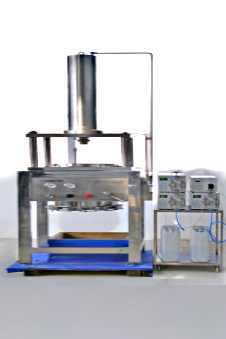 Pepeatly re-packing is also possible, which largely prolongs the service life of chromatographic column. 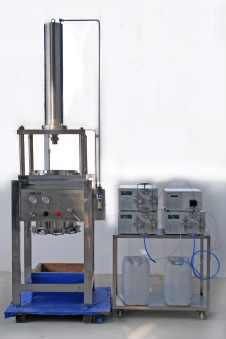 3.The Industrial-scale Preparative Liquid Chromatography system. In accordance with the scale of industrial production, the system is equipped with GL3000-3L, GL3000-5L, GL3000-10L, GL3000-20L, or GL3000-30L pump, and UV detector, on-line mixer, on-line filters and chromatography workstation. Recommended with ID300mm, ID450mm, ID600mm, ID800mm, or ID1000mm DAC dynamic axial compression column systems. 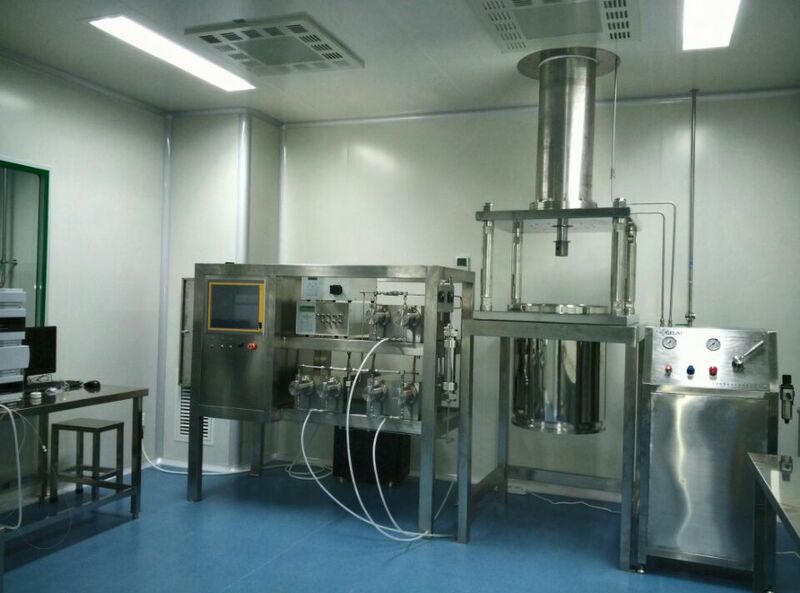 In addition, this system is also have options, as pump for automatic sample loading, automatic fraction collector, integrated platform (Industrial PC) and other configurations. 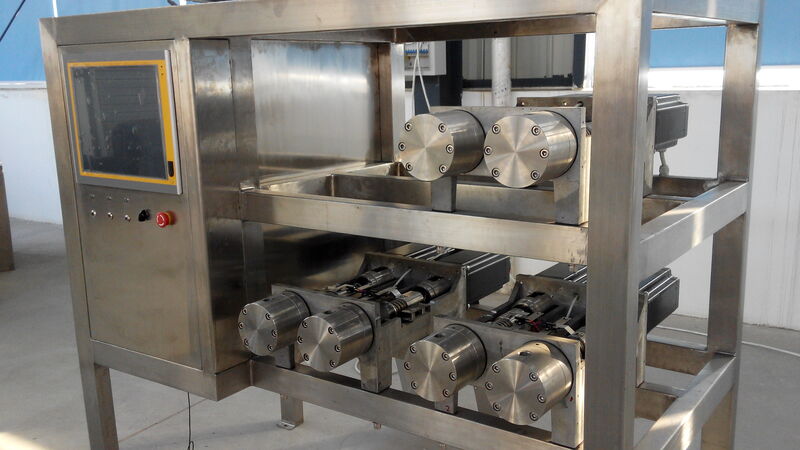 And is suitable for all kinds of chromatography model including normal phase, reverse-phase, ion exchange, etc. It is suitable for hundreds of grams and kilograms grade product separations. YMC, Calesil, Fuji, and global major brands, ... by orders. We set up a customer product separation center, with a Chromatography team with a number of application engineers, experienced in the API, Chinese medicine monomer, peptide drugs, etc. and dedicated for our customer services for more than 12 years. We provide fast separation and purification solutions and products purification and service for you. We offer a variety cooperation modes to reduce the risk and cost of your product research and development process. After more than 12 years of unremitting efforts, we have more than 400 large high-precision and high-performance systems installed in China (with total market share > 1/3), and USA. 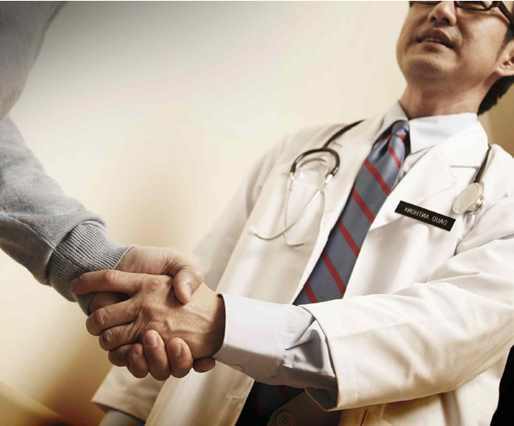 With more than major 150 customers, including the well-known pharmaceutical companies and research institutions, we have acquired customer recognition and praise in the chromatography industry field.